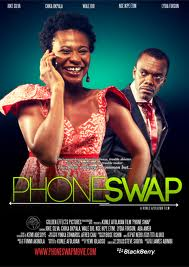 Akin and Mary meet in an airport where they bump into each other and mistakenly swap their identical phones. After receiving the others' text messages regarding where to travel, Akin travels to where Mary is supposed to go and vice versa. As a result, the two agree to help each other accomplish their "missions" while traveling in each others' place. Mary is forced to work in Akin's place and lead a company meeting while Akin must represent Mary in a family meeting, and hilarity ensues.